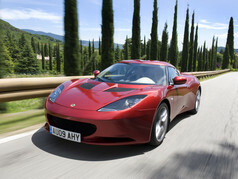 The award-winning Lotus Evora combines agility and instinctive responsiveness as only a true thoroughbred Lotus can. 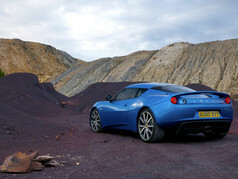 The Evora S blends the sublime handling attributes of the Lotus Evora with the surging linear power of a supercharged V6. 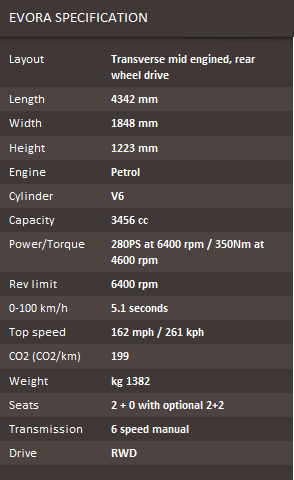 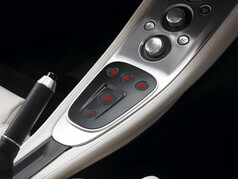 The Evora sees the addition of an optional automatic 6-speed gearbox with Lotus developed transmission control.